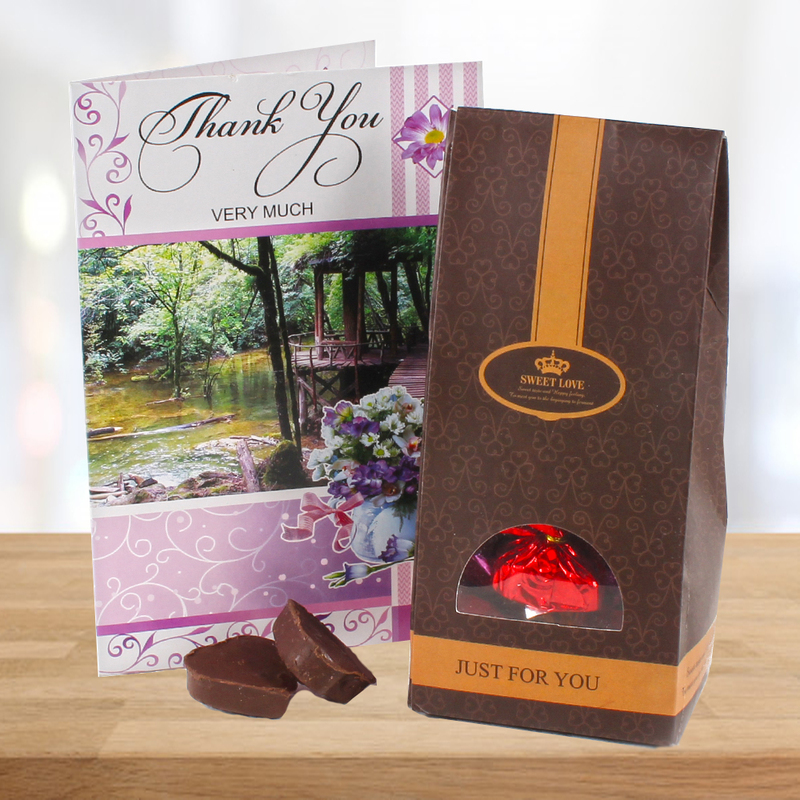 Product Consists : Thank You Greeting Card along with Home Made Chocolates Bag (Weight : 200 Gms). What better way to express to your friend or relative how glad you are to have her or him in your life or for any purpose some one have helped you so this stylish thank you greeting card will convey your thank you message easily. This lovely card is sure to be a perfect way to tell your dear one how much you value her or him. We have clubbed this combo with Chocolates. Rich delicious homemade chocolates is a perfect delight for you and your loved ones. 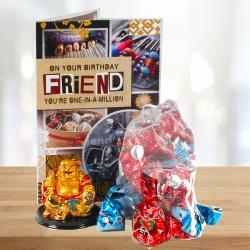 The chocolates have packed beautifully in colorful wrapping. It is very slik and smooth in taste all love to eat at any time. Chocolate lover will appreciate the harmonious and lingering character of this delicacy. 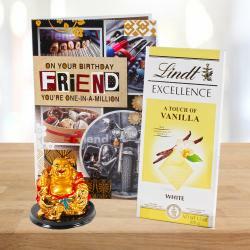 Right from celebrating a special occasion, to consolidating your friendship; from expressing your love for someone, to simply celebrating life, we offer you homemade chocolates for all occasions.Gives you the reason to celebrate and the luscious bites on it expands your celebrations more with happiness. 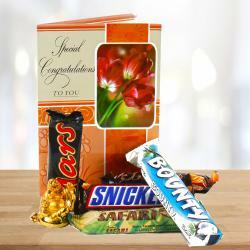 Product Includes : Thank You Greeting Card along with Home Made Chocolates Bag (Weight : 200 Gms).